Dentist Doreen | United Smiles is proudly serving dental patients from Doreen and Mernda since 2013. United Smiles offers advanced dentistry for everyone, from preventive to cosmetic dentistry as well as restorative and oral surgery. 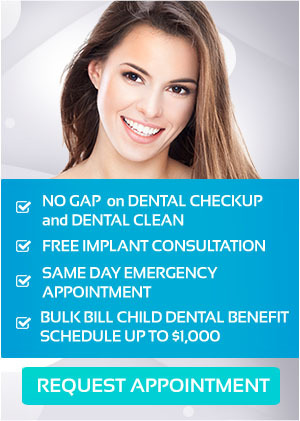 Our experienced dental team is highly dedicated to providing excellent dental care service to all our patients. Your dentist at United Smiles ensures that you will have healthy teeth and a great smile for life by performing cutting-edge dentistry and investing in state of the art dental technology. United Smiles offer advanced care for excellent results. Our modern facilities allow us to complete to most thorough and up to date dentistry available. The innovation and technologies used in our dental practice enable our dental professionals to provide quicker results and effective treatment. All x-rays taken at United Smiles are taken in digital format. We use digital intra-oral x-rays and digital OPG to eliminate the need for chemical and x-ray films when taking x-rays. Our intra-oral camera allows you and the dentist to view your dental needs before, during and after treatment. Digital photography is used to help display the results of certain treatments, which includes bleaching and veneers. We pride ourselves on our infection control standards in order to maintain a clean and hygienic practice. United Smiles also offer laser dentistry for the treatment of gum disorders, tooth whitening, decay removal and for surgical procedure.